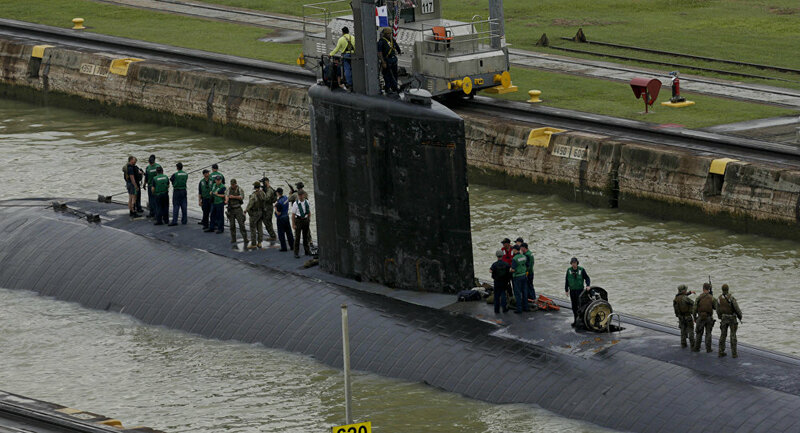 US attack submarine Columbus makes port visit in Singapore. WASHINGTON (Sputnik) – Singapore is hosting the US attack submarine Columbus during for a port visit as part of the vessel’s deployment to the Indo-Asia-Pacific region, the US Navy said in a press release on Thursday. "The Los Angeles class attack submarine USS Columbus (SSN 762) arrived in Singapore for a visit as part of its deployment to the Indo-Asia-Pacific region," the release stated. The Columbus is deployed in the Navy's 7th Fleet area of operation that encompasses 36 maritime countries and half of the world’s population, according to the Navy. Columbus supports a multitude of missions, including anti-submarine warfare, anti-surface ship warfare, strike warfare, surveillance and reconnaissance, the release added. It is named for the city of Columbus in the US state of Ohio.